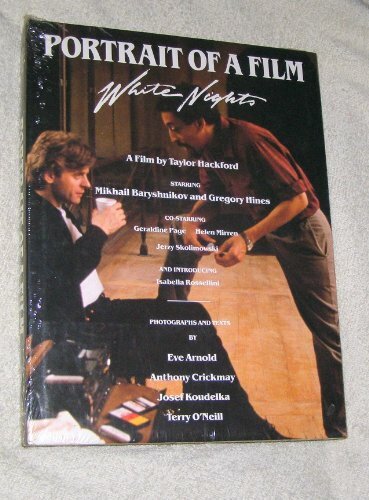 The movie White Nights starring Mikhail Baryshnikov, Gregory Hines, and Isabella Rossellini, is the fictional account of a Russian dancer who defects to the West and later is held captive in his home country after a plane crash. His attempts to escape are aided by his Russian wife and a black American exile, also a dancer. Four distinctly different photographers, Eve Arnold, Anthony Crickmay, Terry O'Neill, and Josef Koudelka, were hired by director Taylor Hackford to document the making of this film. An interesting study of the differences in photographic styles.